Condition is Used. Collection in person only. This is one chair not 3. A sturdy pine farmhouse shabby chic pine kitchen/dining chair refurbished in Laura Ashley white paint and distressed,I have used this one myself. Depth 42 cm. You could always paint them for a new look. The chairs have a higher supportive back and central decorative panel. These are great as they are and ready for use with a real rustic country look. Alternatively you could paint them to create a whole new shabby chic look. Florence High back chair - truffle. Our Florence range is available in Dove Grey, White, Mocha, Truffle and Sage green colour. brushed acacia finish seat, truffle colour chair. Florence Kitchen Dining Range in 5 stunning colours | FULLY ASSEMBLED. 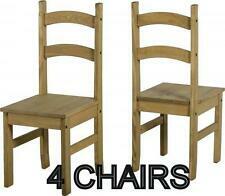 4 Solid Pine Dining or Kitchen Chairs -. Condition is quite good. No issues with sturdyness of the chairs. Fabric seats, a couple of minor marks as shown, there are a few missing pine pegs which cover up the screw holes, I have shown in 2 pictures. Set 1 ( I have listed another set of 4 chairs). Condition is quite good. No issues with sturdyness of the chairs. Fabric seats, a couple of minor marks as shown. Viewing can be arranged - 7594 800998. Florence High back upholstered chair - dove grey. Florence High back upholstered chairs have been designed to be the most comfortable kitchen chairs possible. Florence Kitchen Dining Range in 5 stunning colours | FULLY ASSEMBLED. Florence High back upholstered chair - white. Florence High back upholstered chairs have been designed to be the most comfortable kitchen chairs possible. Florence Kitchen Dining Range in 5 stunning colours | FULLY ASSEMBLED. 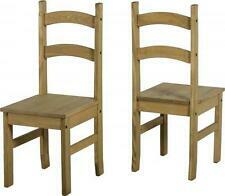 New listingSOLID PINE KITCHENS/ DINING CHAIRS 4 spindle-backed chairs in good condition. C ol le ct io n pl ea se f ro m No tt in gh am. Very solid and sturdy chairs, seats upholstered in suede effect fabric which is marked and stained (more so than it appears in the photos) so would benefit from re-covering which should be easy to do as seat pads are secured by 4 screws to the undersides. Our Florence range is available in Dove Grey, White, Mocha, Truffle and Sage green colour. Florence High back chair - sage green. pine wood, acacia wood. Florence High back chairs have been designed to be the most comfortable kitchen chairs possible. Our Florence range is available in Dove Grey, White, Mocha, Truffle and Sage green colour. Florence Country style chair - Sage Green. Florence Kitchen Dining Range in 5 stunning colours | FULLY ASSEMBLED. A lovely old solid Pine Kitchen Chair with simple Shaker style. Size approx: 44 x 43 x 44cm (seat height) and 79cm back, overall. Clean and fresh and ready for display, from a smoke free. Florence Country style chair - white. Florence Kitchen Dining Range in 5 stunning colours | FULLY ASSEMBLED. Florence Country style chairs have been designed to be the most comfortable kitchen chairs possible. This is a fine example of the popular kitchen chair by Ibex of Sweden made around 1900. In original condition with age related marks but still very sturdy. Width 42cm. Shabby chic 4 solid pine farmhouse kitchen chairs unusual sought after design. 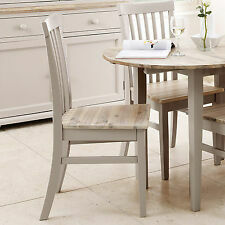 4 shabby chic solid pine farmhouse kitchen dining chairs. Unusual sought after design.Lovely solid chairs up cycled old varnish removed sanded and under coated and painted with a Matt sage chalk paint (2coats) and waxed with a low sheen wax. Solid chairs suitable for daily use. Collection only. A pair of pine and green painted slatted backed kitchen chairs.good to go as is or ideal candidate for a Shabby Chic makeover! Pine wood, acacia wood. Florence Country style chair - dove grey. Florence Kitchen Dining Range in 5 stunning colours | FULLY ASSEMBLED. Florence Country style chairs have been designed to be the most comfortable kitchen chairs possible. Very solidly made kitchen or dining room chairs, refer to photographs for condition. 53cm at widest (the top of the chair back). Price is for one chair; there are two you can buy one or a pair. A pair spindle back farmhouse style kitchen dining chairs with 'H' frame legs and generous seat made by Yorvik Pine a quality manufacturer. Structurally in good order with limited signs of previous wear. Ready for immediate use. You could always paint them for a new look. Offered in used condition with signs of age, wear and previous use, as might be expected and is mentioned and pictured purely for accuracy. Please see photos for the best description and any marks that should be noted. Click images to enlarge. Dimensions: height 82cm, height to seat 44cm, depth 43cm, width 46cm ** See my other items ** Various other chairs for mix & match ** For Sale ** Delivery: I advertise as local pick-up but appreciate that not all of you live close enough to collect, so if it helps, I can arrange for cheap local delivery (please ask for a quote). 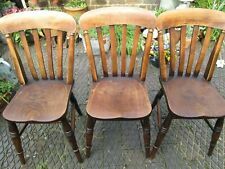 A lovely set of old pine chairs. Could do with a bit of TLC. Florence High back chair - dove grey. Florence Kitchen Dining Range in 5 stunning colours | FULLY ASSEMBLED. Florence High back chairs have been designed to be the most comfortable kitchen chairs possible. VidaXL Dining Chairs 4 pcs Wood Natural Colour. The chairs are made of solid pine wood, which makes them very stable and durable. They are ergonomically designed for added comfort. This dining chair set, with a simple yet elegant design, consists of 4 pieces and will make a great addition to your dining room or kitchen. Reluctant sale of our farmhouse table and chairs. This listing is for 4 chairs. Loved family items with wear and tear from years of family love! No space anymore. Table listed separately. Non smoking home. Collection from Tiverton, Devon. 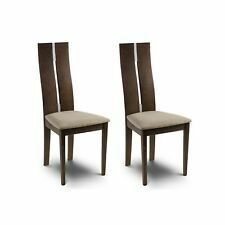 VidaXL Dining Chairs 6 pcs Wood Natural Colour. The chairs are made of solid pine wood, which makes them very stable and durable. They are ergonomically designed for added comfort. This dining chair set, with a simple yet elegant design, consists of 6 pieces and will make a great addition to your dining room or kitchen.